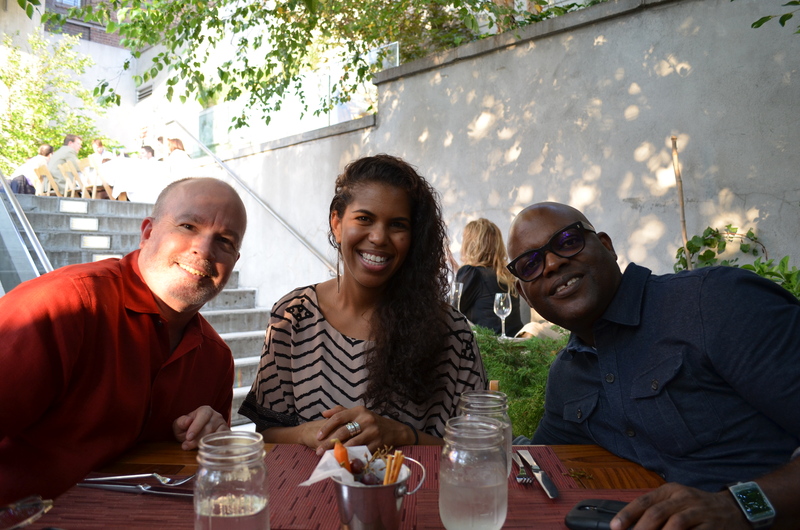 The final stop on my Restaurant Week Summer 2014 tour was David Burke Kitchen located in the James Hotel in Soho. Opened in 2010, the restaurant has two main dinning spaces: a 130-seat loft-like space and glass enclosed Garden and Treehouse Bar, which also seats up to 130 guest. For this meal, I was joined by three friends Neal, Nia and Ron. These bread sticks are seasoned and lightly salted. 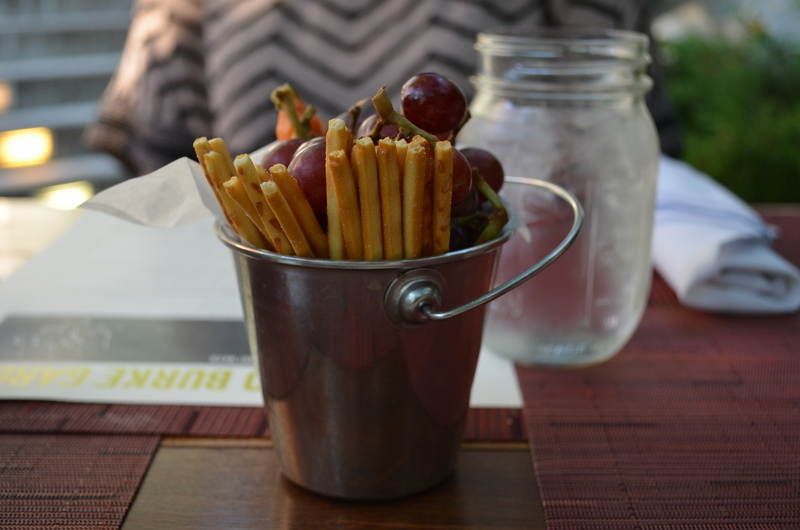 They provide a perfect counter-balance to the briny pickled baby carrots and the sweet red grapes. My first course was the Lobster Dumplings. This was a complete deviation from what I would normally eat, but I wanted to try something different. Prior to this dish, I have never had a lobster that I enjoyed eating. The lobster meat was minced and formed into balls that were then attached to the lobster’s walking legs and wrapped in dumpling wrappers. The sauce for these dumplings was a zucchini compote or puree with roasted garlic, white beans and tomatoes. Delish. This dish is a testament to how great executive chef Chris Shea is that he could produce lobster in a form that I wouldn’t mind eating again, and again, and again. My second course was the Short Rib. Mmmm, mmmm, amazing. Words don’t exist in the English language that I could use to describe how good this dish was. The beef was braised to perfection; I was able to pull the meat apart simply using my fork. The mushrooms were hearty and the pasta was fresh. This meal was so good that I used a piece of the short rib to attempt to mop up all of the sauce lingering in the bottom of the plate. 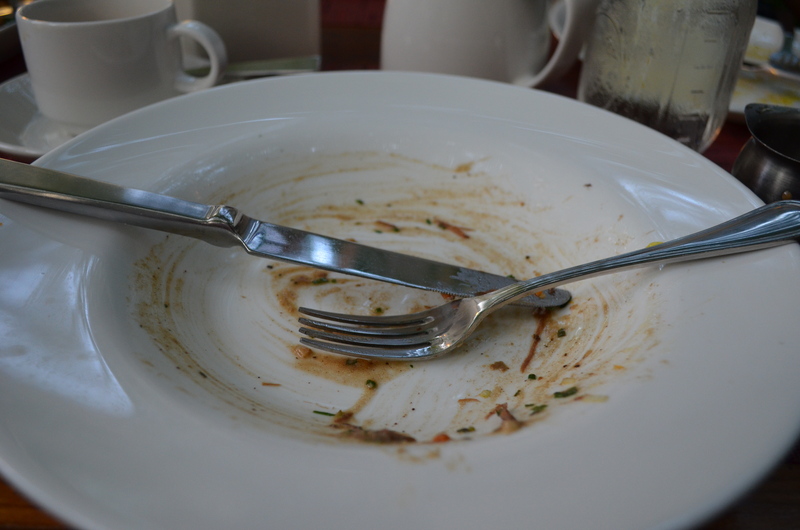 This was the second time that I completely finish my main course. In this case, though, I probably would have willingly eaten two servings to my detriment. All-in-all, a spectacularly fine piece of meat. The Chocolate Hazelnut Crunch Bar was so freaking amazing I was in hog heaven. The bottom layer of this desert was a very thin wafer (similar to what you find in a Kit Kat). On top of this layer was a thick dual layer of mousse topped with a very light ganache. This was so tasty, I included two extra views of this wonderful dessert. Overall, this meal was out of this world. David Burke Kitchen continues to hold the gold standard because they’ve managed vanquish all the other competition posed when selecting a place to eat and eating at a restaurant during Restaurant Week in NYC. Do you have any Restaurant Week Summer 2014 picks that you would recommend? If so, post in the comment section. Wow. That food looks so good. I’ll be dreaming of it tonight. I will definitely check this place out! Once again I can taste the food from your discriptions. I’m sure I’ve gained a pound or two….lol. Pictures were great as well.